The untold story of President Donald Trump’s environmental agenda is that he’s losing. While the Trump administration continues to spit out dangerous environmental rollbacks at a record clip and its efforts remain a dire threat to our environment, the administration is overwhelmingly failing when its proposed rollbacks come in contact with the rule of law. No organization during Trump’s presidency has filed more lawsuits to protect the environment from deregulatory actions than Earthjustice. Of 120 lawsuits Earthjustice filed in the first two years of the administration to defend health and environmental protections against the Trump administration’s attacks, there have been major decisions on 17 of them. Trump has won only one of these battles. Earthjustice has won 16. 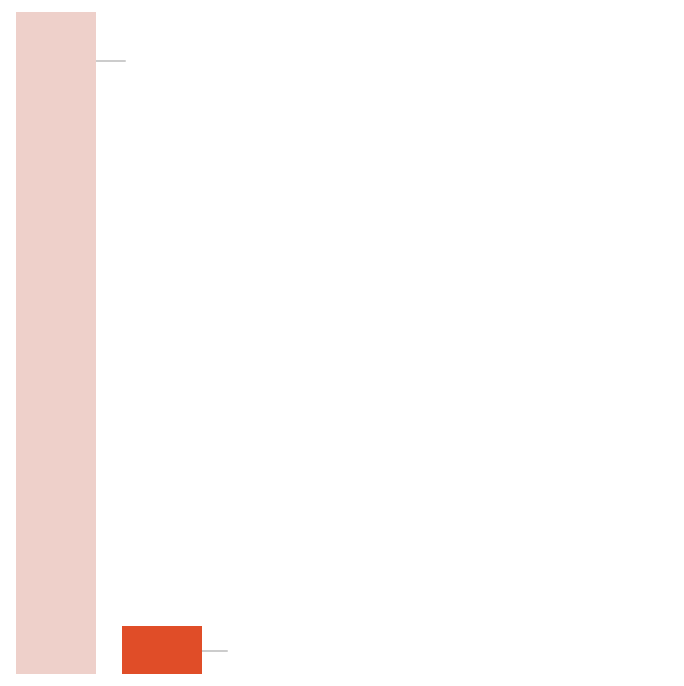 Earthjustice has won 94 percent of the legal challenges that have resulted in a major decision, while the Trump administration has won only 6 percent. Earthjustice’s review of Trump’s record concurs with a recent study from the Brookings Institution which looked across federal agencies and found that Trump’s deregulatory actions have an abysmally low win rate. Brookings found that the Trump administration has only a 5 percent success rate when challenged in court, far lower than the average 69 percent success rate of previous presidential administrations. Earthjustice filed legal challenges to the majority of the rollbacks and delays on the environment that Brookings tracked. In one court decision after another, federal courts have blocked the administration’s attempts to reverse existing regulations because it failed to meet federal statutory requirements such as scientific and cost-benefit analysis. In addition, courts have ruled that the government cannot undo regulations without the transparency and accountability that are required by federal law. This report provides a summary of four key federal environmental challenges, including wins, in cases filed by Earthjustice on behalf of environmental, community, labor, health, and civil rights groups to defend life-saving health and environmental protections from Trump’s deregulatory actions. Our wins prove that facts still matter in court. We are taking every opportunity to hold the Trump administration accountable to the rule of law — and it’s working. In a major win for public health, the Ninth Circuit Court of Appeals ordered U.S. EPA to heed its own scientists and implement a ban on the widely-used neurotoxic pesticide. Bonnie Wirtz nearly died when chlorpyrifos drifted from a nearby field into her rural Minnesota home. Her son, also exposed, was diagnosed with a neurodevelopmental disorder. On August 9, 2018, the Ninth Circuit Court of Appeals ruled that the U.S. Environmental Protection Agency must move forward with a proposal to ban the dangerous pesticide chlorpyrifos. Chlorpyrifos (pronounced: klawr-pir-uh-fos) belongs to a family of nerve agents called organophosphates, which were developed by the Nazis for chemical warfare and later repurposed as pesticides. It is widely used on apples, oranges, broccoli, and dozens of other fruits. Prenatal and early life exposure to the substance is linked to lower birth weight and brain damage, including reduced IQ, memory loss, attention disorders, and delayed motor development. Exposure to chlorpyrifos often sickens farmworkers and sends them to the hospital. The U.S. EPA itself had found that chlorpyrifos harms children’s brains, and had even drafted a ban on the pesticide during the Obama administration. Yet in 2017, then-EPA Administrator Scott Pruitt issued an order refusing to ban the substance — just a week after he met with the head of Dow Chemical, the largest manufacturer of chlorpyrifos. Pruitt falsely claimed the science around chlorpyrifos was unresolved, vowing the EPA would study the issue until 2022. Earthjustice represented a dozen health, labor, and civil rights groups in a lawsuit to hold the EPA accountable. The Ninth Circuit ordered the agency to heed its own scientists and implement a ban. One night, Bonnie Wirtz heard a crop dusting plane fly so close by, that for a moment, she thought it was about to crash into her home. Instead, it hovered above her rural Minnesota home, spraying pesticides onto the alfalfa field next door. The toxic white powder soon drifted into her air-conditioning unit. Then it seeped into the room where she was folding clothes, and then into her lungs with every breath she took. “I went into the emergency room and was almost in cardiac arrest,” Wirtz says. Doctors told her that the toxic agent was shutting down her central nervous system. She learned that the drift that nearly took her life was chlorpyrifos, a neurotoxic pesticide widely used in agriculture. Her son, who was recently diagnosed with a neurodevelopmental disorder, was exposed as a baby, she says, because the family lived right next to fields for two spray seasons. Claudia Angulo, a 38-year-old mother and former farmworker in California’s San Joaquin Valley, remembers seeing a group of expectant moms become ill after being doused by a plane spraying pesticides. She was a teenager at the time. All of the expectant moms lost their pregnancies, she said. Still, Angulo didn’t know much about the scientific research around harmful pesticides until 2006, when her son Isaac was born with mental retardation and attention deficit hyperactivity disorder. Then she learned that women exposed to chlorpyrifos while pregnant are more likely to have children with autism and other neurodevelopmental disorders. Blood tests revealed that Isaac had the highest levels of chlorpyrifos ever identified in a child. And Angulo is certain that chlorpyrifos is what harmed Isaac’s brain. Wirtz is a declarant on Earthjustice’s federal lawsuit challenging the EPA’s delays to ban chlorpyrifos. Angulo works to raise awareness among farmworkers, the public and politicians about the effects of chlorpyrifos. Read more about Angulo’s story. The U.S EPA’s delay of protections from industrial chemical incidents was ruled unreasonable and illegal by the D.C. Circuit Court of Appeals. It was a significant victory for the safety of first-responders, workers, and communities. 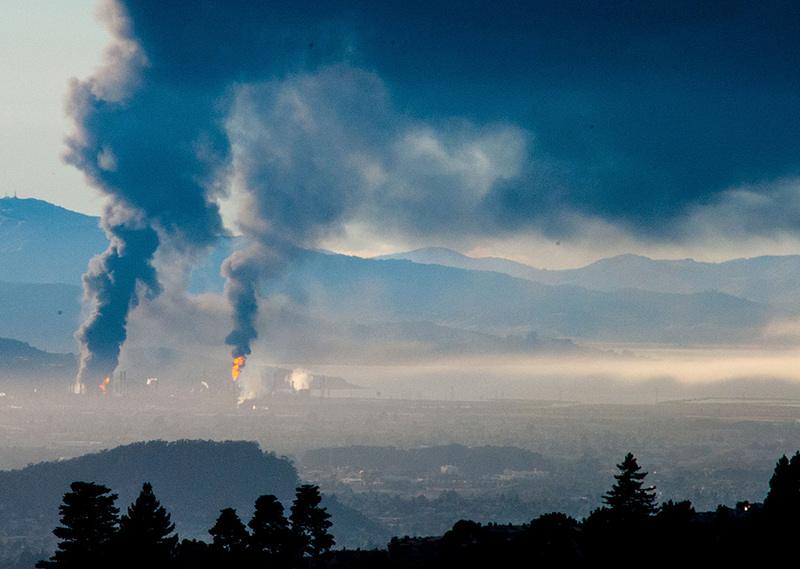 The massive fire at the Chevron oil refinery in Richmond, Calif., on Aug. 5, 2012, billows smoke over the San Francisco Bay Area. On August 17, 2018, Americans who live near chemical facilities won key protections when the U.S. Court of Appeals for the District of Columbia ruled that the U.S. Environmental Protection Agency’s suspension of the Chemical Disaster Rule was unlawful. 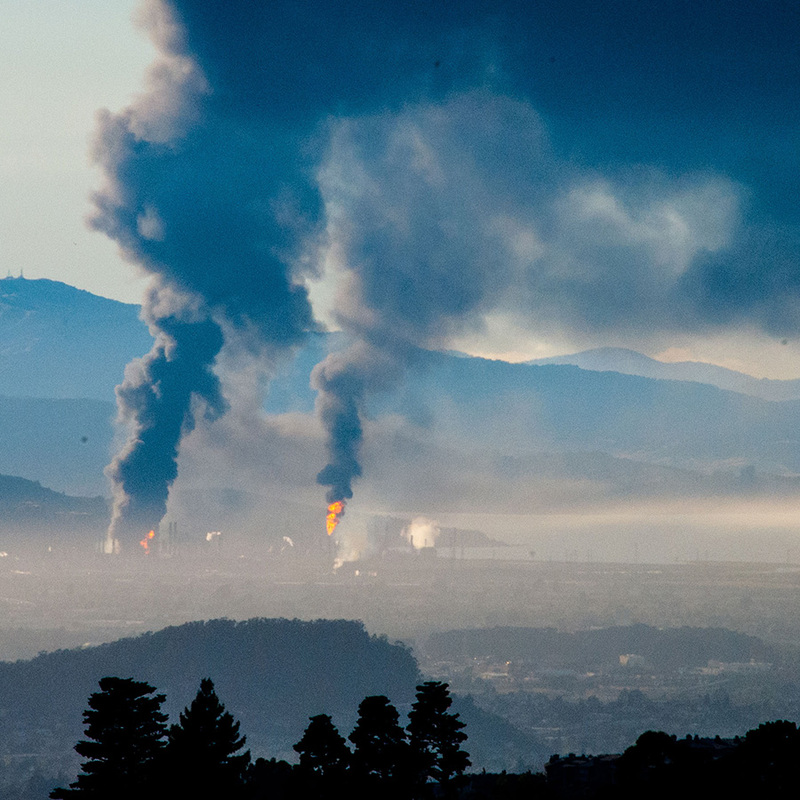 Following thousands of tragic incidents at chemical facilities — including the 2012 Chevron refinery fire in Richmond, California, that injured 19 workers, caused 15,000 people to seek medical treatment, and required entire communities to shelter-in-place — Obama’s EPA issued the Chemical Disaster Rule to strengthen prevention, first-responder coordination, and preparedness. But Trump’s EPA had been delaying implementation of the rule since March 2017 based on petitions from industry trade associations, while stating that it wanted to “reconsider” the rule. On behalf of community groups, Earthjustice took the agency to court. The D.C. Court of Appeals held that the EPA’s foot-dragging “makes a mockery of the statute” and ordered it to do its job. During the year-and-a-half delay in implementation of the Chemical Disaster Rule, at least 73 publicly known incidents occurred across the country, including the 10-mile evacuation at the Husky Refinery on April 26, 2018, in Wisconsin. Approximately 177 million people live in the worst-case scenario zones for an industrial chemical disaster. The Chemical Disaster Rule provides them with life-saving protections. When Jesse Marquez was 17 years old, he and his family witnessed a massive explosion in front of their house in the Los Angeles community of Wilmington. Four oil tanks exploded at the Fletcher Oil and Refining Co. across the street from his home, and one tank roof top flew 700 feet into the air, landing in the middle of an intersection. All seven members of his family suffered first- to third-degree burns. Shaken by news of the explosion and many others over the years, Marquez has become a fierce advocate for the safety and health of fenceline communities. Working with Earthjustice, Marquez’s organization, Coalition for a Safe Environment, fought to end the EPA’s illegal delay of the Chemical Disaster Rule’s protections. Marquez testified at a U.S. EPA hearing on the Chemical Disaster Rule in Washington, D.C., on June 14, 2018. Read Marquez’s testimony and listen to audio from him and other community advocates from around the country. In a major victory for everyone who breathes, the U.S. EPA is ordered by the U.S. District Court in Northern California to disclose to the public where there are dangerous levels of ground-level ozone air pollution. 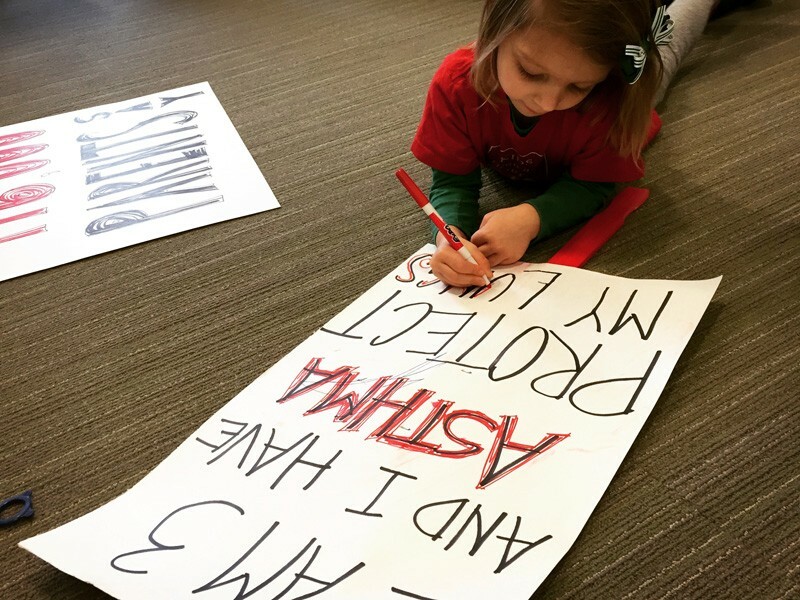 Fiona Dahlkemper prepares a sign that reads: "I am 3, and I have asthma. Protect my lungs." Smog kills. That’s why the U.S. Environmental Protection Agency strengthened its smog regulations in 2015, saying the new standard would save thousands of lives a year. And that’s why on March 12, 2018, the U.S. District Court for the Northern District of California ordered the agency to quit procrastinating and enforce the updated standard. In order for clean-up requirements to kick in, the EPA administrator must officially identify the areas of the country with dangerous levels of ground-level ozone air pollution. The EPA was legally required to designate these areas by October 1, 2017, but it failed to do so. The delay served the interests of industry groups like the American Petroleum Institute, which fought against the more stringent 2015 standard despite EPA science showing the previous standard was insufficient to protect public health. Our Clients American Lung Association, American Public Health Association, American Thoracic Society, Appalachian Mountain Club, National Parks Conservation Association, Natural Resources Defense Council, Sierra Club, West Harlem Environmental Action (WE ACT for Environmental Justice). The Environmental Defense Fund and Environmental Law and Policy Center were also parties to this case. Once the EPA issues designations, the fundamental work of cleaning up elevated smog levels begins. The agency estimates that the new standard will prevent 230,000 asthma attacks each year. Ozone is also a greenhouse gas that drives climate change, so lowering the concentration of ozone aids global efforts to reduce rising temperatures. Gretchen Dahlkemper found herself in the emergency room after her then 11-month-old daughter’s lips began turning blue as she struggled to breathe. “You can’t imagine the terror you feel when you have a tiny baby who can’t catch her breath,” Dahlkemper said. Dahlkemper found out that her daughter, Fiona, had asthma, which is made worse by ozone pollution. Learning about the illness and its connection to air pollution prompted her to become an advocate for reducing ozone throughout the nation. Dahlkemper believes that people need to decide how healthy they want their air to be and not leave the decision up to polluters and their lobbyists. Read more about her story. In denying a motion to dismiss, the U.S. District Court in Alaska rejects the administration’s claims that Trump’s actions are above judicial review. 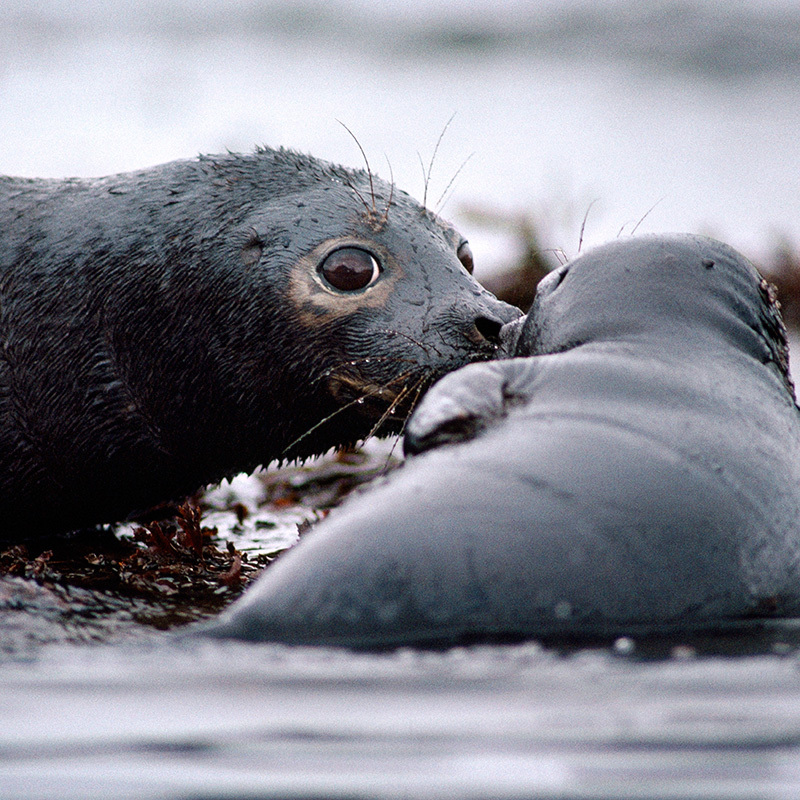 A seal and pup covered with oil, during the Exxon Valdez oil spill in Prince William Sound, Alaska, in 1989. On March 19, 2018, the U.S. District Court in Alaska agreed to determine whether Trump’s reckless offshore drilling proposal breaks the law — and rejected the administration’s claims that Trump’s actions are above judicial review. Natural Resources Defense Council is co-counsel. Represented by Earthjustice, conservation and Alaska Native groups sued Trump in May 2017 when he tried to open permanently protected parts of the Arctic and Atlantic Oceans for oil industry exploitation. The Trump administration and the American Petroleum Institute disputed the groups’ ability to bring the lawsuit, arguing that Trump’s action should not be subjected to review by any court at all. The court rebuffed the administration’s efforts to dismiss the case, upholding the principle that public-interest advocates can hold the president accountable to the law through the legal process. The case will now proceed to a decision on the merits, in which the court will rule on the legality of Trump’s decision to reverse these ocean protections. Trump’s executive order to scrap protections against offshore oil drilling for the Arctic Ocean and parts of the Atlantic Ocean could open up more than 120 million acres of ocean territory to the oil and gas industry, affecting 98 percent of federal Arctic Ocean waters. 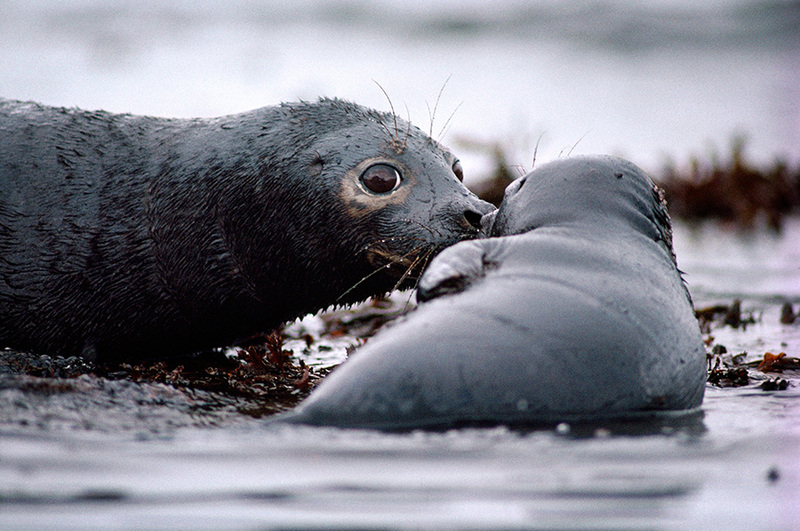 Not only does oil and gas leasing threaten water and ocean habitat, but drilling and fossil fuel proliferation would harm efforts to stem climate change. Temperatures are rising twice as fast in the Arctic as the rest of the planet. A United Nations report released in October 2018 following extensive scientific research predicts that the world must reduce greenhouse gas emissions by 50 percent by 2030 to avoid global catastrophe, including famine, droughts, increased violence and economic hardship. Since 1986, when Rosemary Ahtuangaruak began working as a health aide at the Alaska Native village of Nuiqsut, she’s seen a huge spike in the numbers of people who need medicine to breathe. Only one of the clinic’s patients needed respiratory medicine when Ahtuangaruak began her job in the 323-person village. By 2000, the number had swollen to 75, and she found herself staying up through the night helping people breathe. Ahtuangaruak associated the rise in breathing problems with the ramping up of oil and gas extraction in the Western Arctic where Nuiqsut is located. “In Nuiqsut, we’re completely surrounded by oil and gas development,” said Ahtuangaruak. Nuiqsut is one of the most remote villages on earth. It’s a place where Inupiat people have subsisted for thousands of years from consumption of wild caribou and whales. In recent years, the fossil fuel industry has begun changing the face of the Western Arctic — on state and private land near Nuiqsut and, increasingly, in the largely still untouched federal public land in the Reserve — with oil and gas drilling, to the detriment of public health in Ahtuangaruak’s community. In addition to fighting Trump’s offshore drilling proposal in court, Earthjustice is representing environmental groups in a challenge to federal lease sales that pave the way for expanded oil and gas drilling in the Western Arctic. Read more about Ahtuangaruak’s story. Across multiple federal agencies, the Trump administration has illegally stopped implementing existing environmental regulations. The Trump administration has repeatedly attempted to use federal agency authority to advance the policy agenda of corporate polluters who want to fatten their wallets at the expense of public health and the environment. The Trump administration has repeatedly tried to undermine the science that agencies rely upon to make sound decisions. 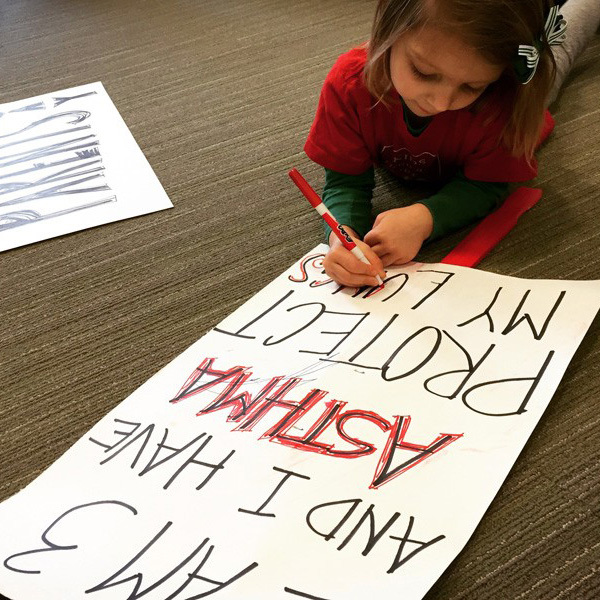 When Earthjustice and other groups have challenged these attempted rollbacks, federal judges have repeatedly found that the Trump administration has failed to follow the federal statutory requirements for environmental rulemaking, which include meaningful scientific and cost-benefit analysis. Again and again, federal judges have told the Trump administration that it can’t break the law simply because it feels like it. The Trump administration’s deregulatory actions — following challenges from health, environmental, labor and civil rights and community groups — have repeatedly failed for being inconsistent with the law, unsupported by the facts, or both. The Trump administration’s attempts to roll back regulations have slowed implementation of needed protections, causing harm, while litigation unfolds in federal courts. Nevertheless, existing environmental regulations remain largely intact and continue to protect the health and well-being of millions of people nationwide. Summaries of Earthjustice’s lawsuits against the Trump administration — including recent decisions and legal briefs, and lawsuits filed after the publication of this report — are available at earthjustice.org/overruling. Of the 120 lawsuits Earthjustice filed in the first two years of the administration, to defend health and environmental protections against the Trump administration’s attacks, there have been major decisions on 17 of them. Trump has won only one of these battles. Earthjustice has won 16. The 17 cases are listed below. In some cases, the Trump administration withdrew their actions following Earthjustice's legal brief filings. Certified Pesticides Applicators Rule Delay Revisions to crucial safeguards in Certification of Pesticide Applicators Rule would permit minors to work with pesticides. Mar. 21, 2018: The U.S. District Court for the Northern District of California rules U.S. EPA illegally delayed implementation of the protections. The judge also sent a strong message to the EPA by rejecting all the agency's delays for failing to properly notify the public, and allow for comments. The court declared the original Mar. 6, 2017, date as the effective date, making its ruling effective immediately. Our clients Farmworker Association of Florida, United Farm Workers, Pineros y Campesinos Unidos del Noroeste, California Rural Legal Assistance Foundation, Pesticide Action Network North America. Farmworker Justice is co-counsel. Patrice Simms Vice President of Litigation, Washington, D.C.